Obamamania among eager Democrats is perhaps being replaced by Palinoia as you read this. The panicky sense that this gun-toting Alaskan separatist upstart is ruining something wonderful is ubiquitous. As Obama dives in the polls, I can't see much beyond the radical samizdat media suggesting that BHO's policies might share some of the responsibility. He cannot be to blame, even in part, because He has been pre-humously canonised, if not crucified and resurrected. 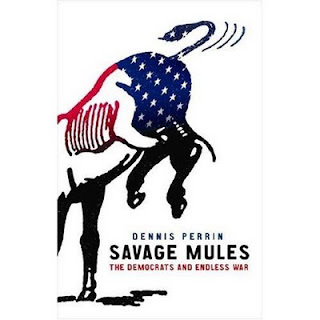 Well, a few weeks ago I had the pleasure of reading Savage Mules. 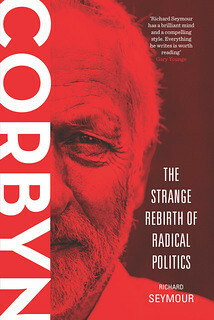 It is quite unlike anything else I've read on the Democrats. To take one example, LBJ is described as a "blood-caked jackass" who "made Charles Manson, Jeffrey Dahmer, and John Wayne Gacy look in comparison like the provincial amateurs they were". I like this. Every liberal luminary is thoroughly trashed in a similar way, and one gradually gets the impression that the Democratic party is more of an extended crime dynasty than a party of progress. Their most hallowed leaders even helpfully talk like mafiosi below the media radar. (Think of dear old Bubba waxing humanitarian about Somalia: "I can't believe we're being pushed around by these two-bit pricks.") So, I got in touch with the author of Savage Mules and asked for an interview. This is it. Self-described antiwar progressives are gushing with enthusiasm for a potential Democratic presidency this Autumn - what are they missing? "Their preferred Party's history. Some of the drivel I read at liberal blogs about American history, and the liberal role within it, is truly stunning, but predictable in a country where history isn't seriously studied and scrutinized. I could name names, but I'm in a generous mood. Besides, I'm sure your readers can find them without me. "A major part of the problem is that American liberals really seem to think there's a decent, representative democracy under all of the machinery and violence. If only the Democrats ran all branches of government, and did so for an extensive period, many of these obstacles would be cleared away -- or so the mantra goes. This naturally extends to war. I can't tell you how many local yards have both 'War Is Not The Answer' and 'Obama `08' signs in them. As if one goes with the other. Since Obama has promised to expand the Terror Wars, and continually speaks in hawkish tones, this would seem odd to a skeptical outsider. But it's very common within the US. As there's no serious political alternative to the corporate-owned state, people have to dream, create scenarios, in which their votes ostensibly 'make a difference.' This is why you see so much confusion and contradiction among powerless people. What else are they going to do, given the reality?" Given the bloody history you describe, how did the mules acquire a reputation as reluctant warriors and peaceniks, and why is the myth so seemingly invincible? "It began in the 1960s, when the American left challenged a Democratic President, Lyndon Johnson, over his mass murder in Vietnam. Many mainstream liberals supported that war, some to the end; but as the war dragged on, and elite sectors began souring on the whole enterprise, liberals inside the Democratic Party were given openings to oppose the war. The 1968 convention in Chicago showed the split on national television, where antiwar delegates chanted and heckled pro-war Democrats, and were usually beaten and arrested by plainclothes cops for their trouble. Eugene McCarthy and Robert Kennedy played to this demographic, but it was the pro-war Hubert Humphrey who won the nomination, and nearly the presidency. 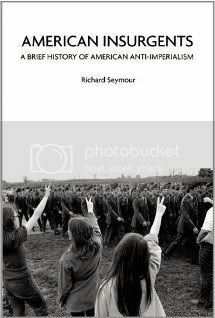 "Still, the seeds had been planted, and by 1972, the Dems nominated George McGovern, a genuine antiwar candidate. McGovern was crushed by Richard Nixon, and the Dems began their rightward drift that continues to this day. "McGovern Democrat" is still a nasty putdown, and while there is no comparable individual in the present Party, the myth of the 'reluctant warriors' remains thanks to that candidacy. For the right, it serves to paint the Dems as pacifists and appeasers. For liberals, or some anyway, it lends the impression that the Democrats only go to war when all else fails. Both images are false, of course. But they serve ideological needs, and keep a fantasy America alive for those who need it." 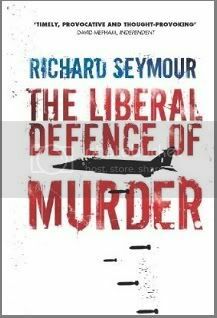 A subtext of your book appears to be that some liberals actually admire mass murder, provided it is carried out under the yankee ensign. Is this related to your own brief lurch into war fever? When liberals demand humanitarian intervention, do you feel they are sublimating a much more savage and vengeful desire of the kind that you describe with such brutal clarity in your own case? "That's the twisted skull beneath the face. As Americans, we're raised to believe in our special uniqueness and shimmering good will. Not everyone buys into this propaganda, but a vast majority do, liberals included. As I remind liberal emailers and radio hosts, no reactionary can match the amount of bloodshed that liberals have spilled throughout our history. The nuking of Hiroshima and Nagasaki alone seals that deal. I tell them to embrace their murderous legacy and stop being pushed around by the Republicans. They really don't know what to do with that advice. It's part of the overall confusion, and provides some fleeting amusement. "Yes, in my case, war fever did bend my brain. Quite seriously so. It goes back to when I was in the Army, the early part of which I was very gung-ho. The 9/11 attacks opened that part of my brain and I went nuts, I'm ashamed to say. I've since recovered, I hope. But it doesn't take much for an American to go ballistic. The culture encourages it, and there's certainly no shortage of imperial howling stateside. And liberals are especially good howlers." Who knows, or really cares at this point? Money and a certain celebrity are a big part of it. 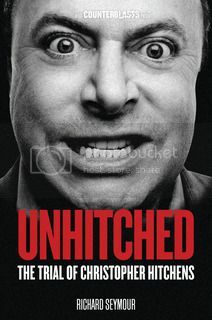 In order to fit into that world, Hitchens has lied repeatedly about past positions, beliefs, etc. He's lied about me and our friendship. I'd like to think that the old Hitch is still in there somewhere, but ultimately, it's not a major concern of mine. The 'netroots', in the self-congratulatory locution of liberal bloggers, are purportedly in the business of democratising politics. By your account, the online liberal scene appears to reproduce the hierarchy that obtains in the Democratic machinery itself, with a corporate-friendly peerage lording it over activist serfs. The Tomb's British readers might not be that familiar with the Daily Kos and its periphery, so could you explain a little about the "Kossacks" and how they relate to activists and the antiwar movement? If your British readers are unfamiliar with Daily Kos, they should consider themselves blessed. It's the brainchild of Markos Moulitsas, and it's essentially an online arm of the Democratic Party. Kos wants to be a Party player, and insists that social change can be realized through online efforts and partisan blogging, but it's just another political hustle. Liberal bloggers don't want to change the system at all. Tweak here and there if it's deemed favorable to them, but that's about it. And they are in no way against imperial war, at least structurally. They may have some tactical disagreements with the Republicans, but liberals can and will cheer on the cluster bombs as enthusiastically as their reactionary cousins. 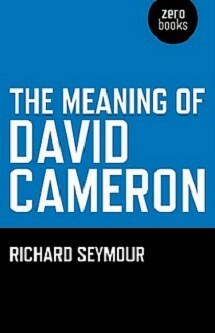 But, surely, Obama will change everything? Ha! Yeah, well, we'll see -- or not. Obama must be elected first. At the moment, that's not at all guaranteed, and you can hear liberals whistling past numerous graveyards, fearful that yet again, their fellow Americans are too stupid to know that Democrats are better for them. I confess a certain delight in watching them squirm, but in the end, I want Obama to win. The Democrats will have the grand stage to themselves, and finally we can see what the modern savage mules are made of.